An Israeli military spokesman said the tunnel that ran underneath Gaza's Kerem Shalom border crossing was used to transfer militants and arms for attacks in Israel. 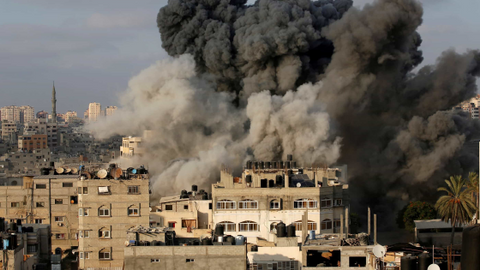 The Israeli military said on Sunday it destroyed an attack tunnel built by the Hamas militant group that stretched from the Gaza Strip, though Israel and into Egypt, and that ran past Israeli military posts as well as gas and fuel pipelines. Military spokesman Lt. Col. Jonathan Conricus said the 1.5-kilometre long tunnel ran underneath the Kerem Shalom border crossing, Gaza's main point of entry for humanitarian aid. He said Israeli jets struck part of the tunnel and a new set of sophisticated "tools" destroyed the rest. Conricus said forces had been monitoring its construction for some time and an imminent attack on Israelis was possible. The crossing has been closed till further notice. Journalist Mohammad Mansour joins TRT World from Gaza Strip. Israel has made neutralising the tunnel threat a top priority since its 2014 war, when Hamas militants on several occasions made their way into Israel. Although they did not manage to reach civilian areas, the infiltrations caught Israel off guard, killing five soldiers in one attack, and terrified the local population. Sunday's operation marked the third such tunnel Israel has destroyed over the past two months. But Conricus said this did not mark "more of the same" since it involved the most advanced technological means Israel has deployed. "(We) now hold a method, an organised system to destroy terror tunnels dug into Israel," he said in an early morning briefing to reporters. "This is a key mission for us and our intention is to allow quiet and to deter Hamas so we can continue to build the obstacle." Hamas initially said a typical smuggling tunnel was destroyed, but had no immediate response to the Israeli announcement. There were no casualties in the Israeli airstrike. Upon departing to India on a diplomatic mission, Prime Minister Benjamin Netanyahu commented on the significance of the operation. "We are responding to aggression against the state of Israel and are taking vigorous and systematic action against hostile infrastructures," he said. Defence Minister Avigdor Lieberman said the tunnel's construction was a clear violation of Israeli sovereignty and destroying it delivered a stinging blow to one of Hamas' most significant assets. "The message to Gaza's leadership and residents is clear — invest in the sanctity of life and not these burial tunnels," he said. Conricus, the military spokesman, noted that the tunnel's route stretched underneath the Kerem Shalom crossing, where 15 million tons of food, clothing, construction material and other essential goods had been transferred into Gaza since the 2014 war. 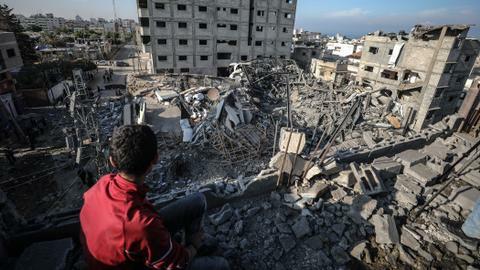 Israel and Egypt have maintained a crippling blockade on Gaza since Hamas seized power in 2007. Conricus said the crossing itself was a potential target, as well as the gas and fuel pipelines. The tunnel could have also been used to transfer militants and arms for attacks in Israel or Egypt's Sinai Peninsula, he said. "It was a terror tunnel designed to strike strategic Israel assets," he said. He didn't specify which tools were used, but in the past Israel has said its new system involves combat units, military intelligence, logistics and research to destroy the tunnels. The military released photos and video of a wide tunnel with concrete paneled walls.